Regards from "Escuadrσn 69" of Spain!!! We have the same problem that our friends of AMVI. Its any way to expand the window more than x16?? (This is the maximun default zoom). Thank you very much for !!! And merry chritsmas and happy new year to all!!! mystic_j can you go in the 3D world with the -window command?? i thought it was impossible..
yes you can, but with two monitors you have the airport and it's surrounding space under control at the same time. 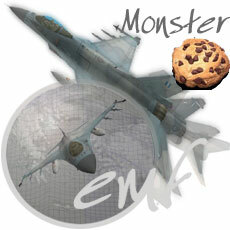 We want to implementate a human AWACS and ATC in our squad "Escuadrσn 69" from Sapin. There are our currently work.... We know that we need a lot of hours to edit maps, but our main problem by far is to know if F4 AWACS can zoom more than X16 for see clearly traffics on land. 1st: We would ask you permission to edit these maps and include them in the future in new patch for the community if you believe appropriate. 2nd: we need for zoom to expand more than x16. we believe that you, as developers of the program, you will know as I could, or maybe teach us to edit it. We are trying to understand how this program works. Were working on this templates maps to be some real than possible. we want put in all the areas have the last map of korea and restricted areas for navigation. We found that the program can give you all the information you need without going into the 2D world, even for the approaches for ATC. While we remain the problem of the zoom, without which we can not develop exactly traffic control on land. Only about placing maps of bases in its correct position and test if the program is able to see the perfection taxyways if we extend the zoom. If someone of you know how can expand zoom more than X16 please contact me for us ... It is absolutely essential for the ATC project. Thanks for your and regards form Escuadrσn 69 from Spain!!! I really like your ideas and effort, specially the ground controller! The man you are looking for is "Monster", the creator of the application. Allow some time to see it and answer you directly. Thanks for the interest in expanding the functionality of F4AWACS. At the moment I'm afraid it's not possible to expand the zoom as it is hardcoded in the program. Please be patient and I'll try to make a patch as soon as possible. If you have any other question or suggestion I'll be happy to hear it. This is bad news for our project. The zoom was basic to insert the bases in the map and to develop the ATC function. If it s, I would suggest this improvement in a future patch. If you want Moster, we may you if they see fit. Thank you for your attention and . Do we have any news about the patch which could be expand the view of airport areas? F4Awacs is great and could be more with this patch. 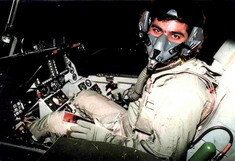 AMVI, and other Virtual Wings as E69, are continuously involved in event with foreign groups. Simulation of ATC is a great piece of works and it would be wonderful to do that properly with this software. We would really appreciate something new about F4Awacs. You will update it Geraki? Cipher please read CAREFULLY my post above ... i said to arrange a discussion time(E-haf and others) and select info IF we can update it ... possibly not!!!! since the creator is not availiable .. but we have nothing to loose if we can collect some info about it.... Cipher please do not harry up and read carrefully !!! We have nothing to loose but that way we create the illusion to our friends that we can do something about it. and we are good people. we don't promise things we can't do, or it's not in our technical capabilities to do, right? We don't want our friends from abroad to visit our TS, have a lengthy discussion and then leave knowing we wasted their flying time do we Gandalf?